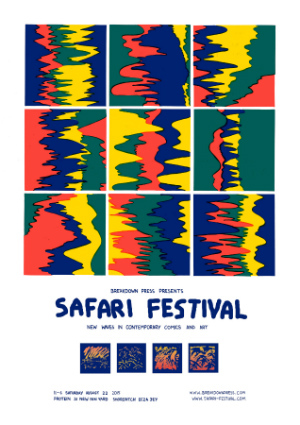 It’s the second coming of Breakdown Press’s Safari Festival on August 22nd and we’re joining in with this celebration of the “new waves in contemporary comics and art” over the next fortnight at Broken Frontier. Each day we’ll also be shining a spotlight on the work on exhibitors who have had consistent coverage here at BF in the past. 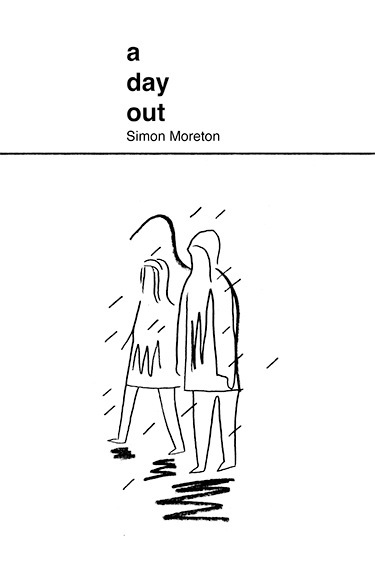 Today it’s the turn of Simon Moreton, the man behind the haunting minimalist autobiography of Smoo Comics, a number of issues of which which were compiled by Avery Hill Publishing in the collection Days last year. Moreton has self-published two issues of Smoo this year, and his longer-form work Plans We Made is due from Grimalkin Press in 2015. 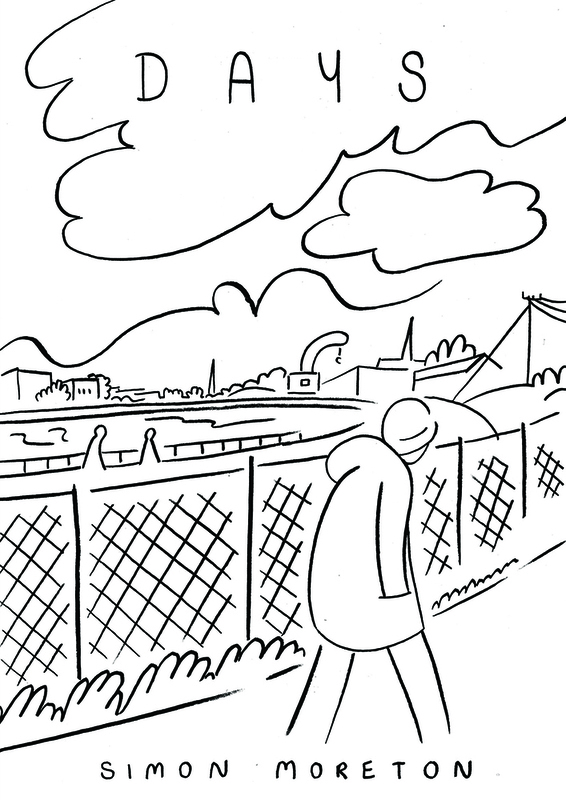 He has also been published by Retrofit Comics (Grand Gestures) and is one of the co-organisers of the Bristol Comic and Zine Fair. 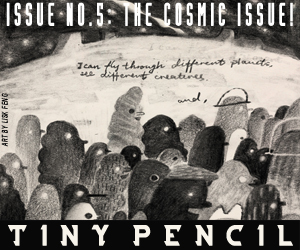 Days compiles material originally published between 2011 and 2012, the bulk of it from Smoo but also some pieces from Bear Pit, Tiny Dancing and Latvian publisher kuš komiksi’s š anthology. 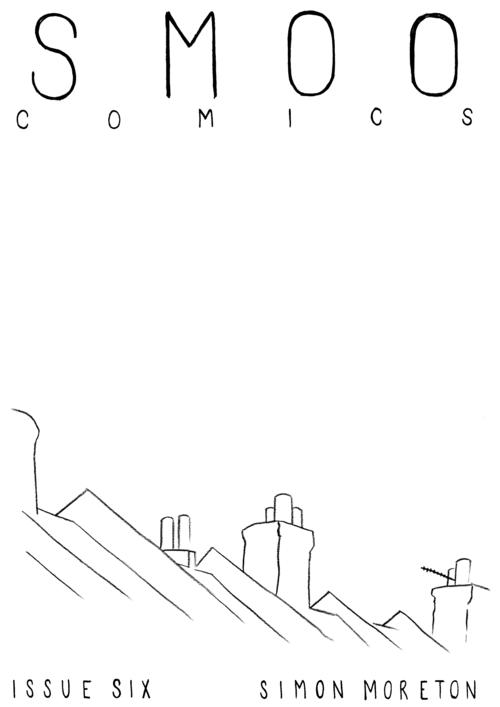 It marks a period where Moreton’s trademark minimalist style had come to the fore, his confidence in his storytelling techniques was becoming pronounced, and those of us in the comics commentary arena were beginning to stand up and take notice of this emerging and excitingly experimental talent. 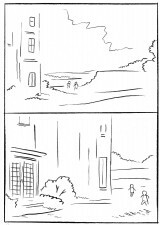 [Moreton’s] work typically takes the form of short, elliptical stories, often following a character or pointing the reader’s eyes through stripped-down snapshots of an environment. 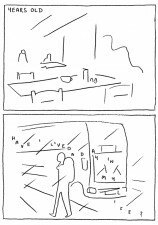 Sometimes they are explicitly framed as memories, with a spare commentary, and sometimes they are more loosely arranged as an evocative procession of images. 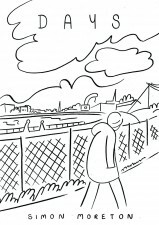 Moreton’s restrained approach in both his writing and his illustration creates a quiet, meditative style that’s a perfect vehicle for his reflections. 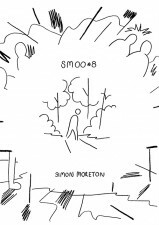 What occurs between the covers of Smoo #8 takes place between September 2013 and September 2014. It comprises a series of key moments told in five shorts that are isolated in their individual timeframes but, brought together, tell a larger story of personal transition. 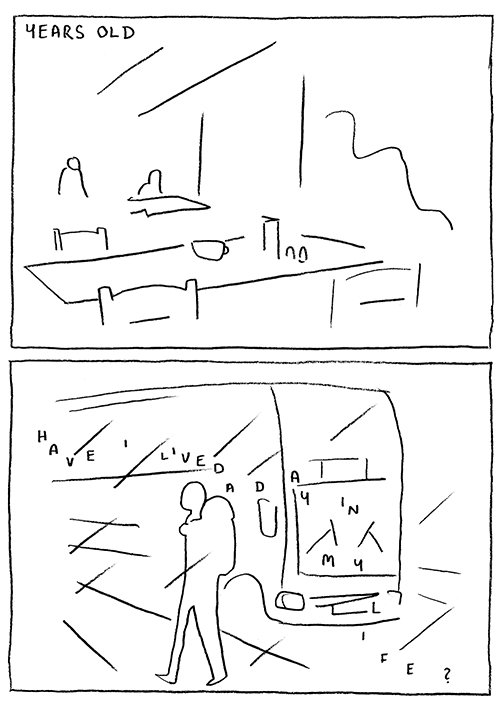 While Moreton’s narrative structure for the issue had been planned for a while the actual process of drawing the 40-ish pages took place in around a week. 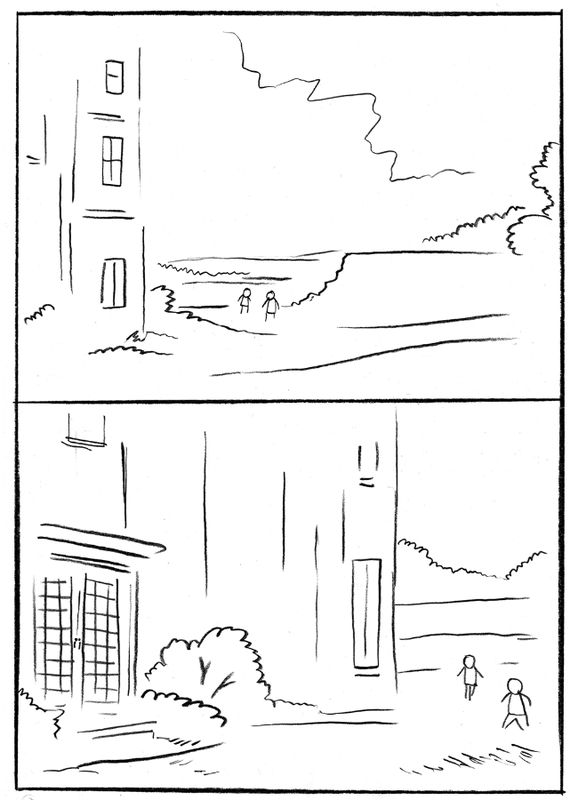 Whether that rapid production rate contributed to the emotional immediacy of Moreton’s on-page reflections is something I can only speculate on but, on so many levels, this is possibly the most affecting issue of the series to date. 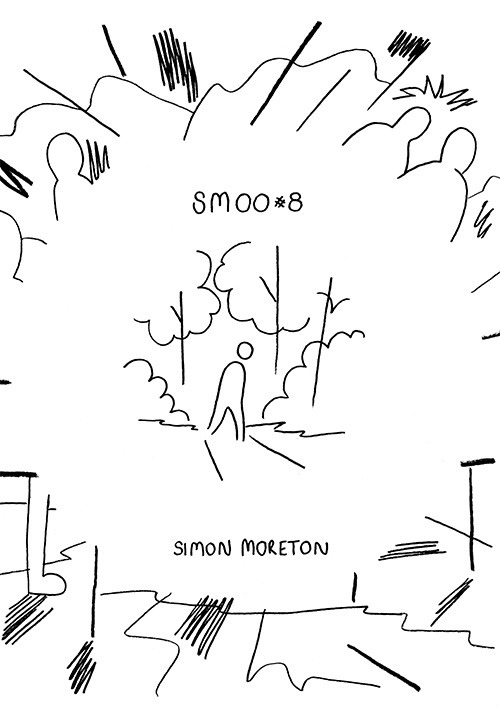 Smoo #9 returns with a selection of isolated moments that are more thematically than directly linked; yet also seem a natural progression from that previous offering. 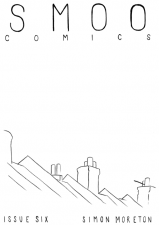 It’s Moreton’s use of text sections, though, that adds a new dimension to the usual reflective nature of this title, underlining the appropriateness of the label of “zine” that he applies to Smoo Comics. In some ways it’s a quantum shift in storytelling terms from a creator whose work usually invites the reader to take their own meaning from its pages. 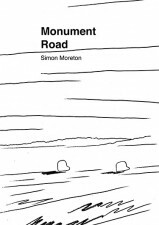 What the prose offerings do retain in their own way, however, is Moreton’s skilful ability to speak to his audience on a shared emotional level – to engender, as he always does, empathic feelings based on similar life experiences. 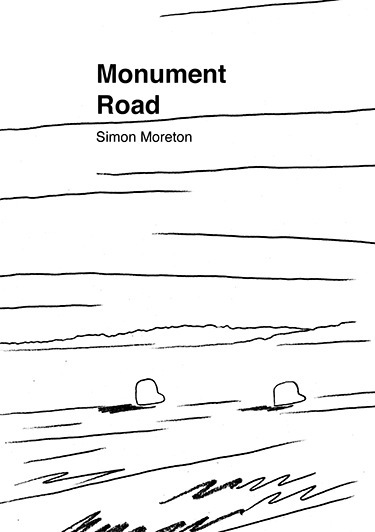 For more on Simon Moreton’s work check out his site here and his online store here.